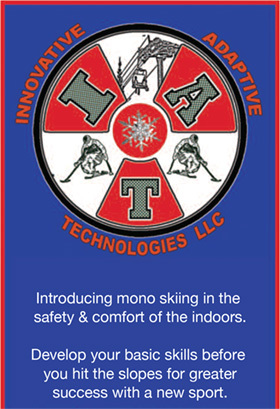 My first exposure to the Sit Ski Trainer was at the PSIA/AASI National Academy in Brecken-ridge, Colorado during the DSUSA Ski Spectacular in 2013. During the week, I was leading clin-ics on a variety of topics including how to offer training and education off snow. Very quickly I realized that implementing the sit ski trainer into my clinic would be a perfect fit for my group. I proceeded with the concept and was pleased with the possibilities and outcomes explored. There were a few light bulbs that went off for the group, and we really dove into some of the possibilities surrounding the many positive benefits of using the Sit Ski Trainer. 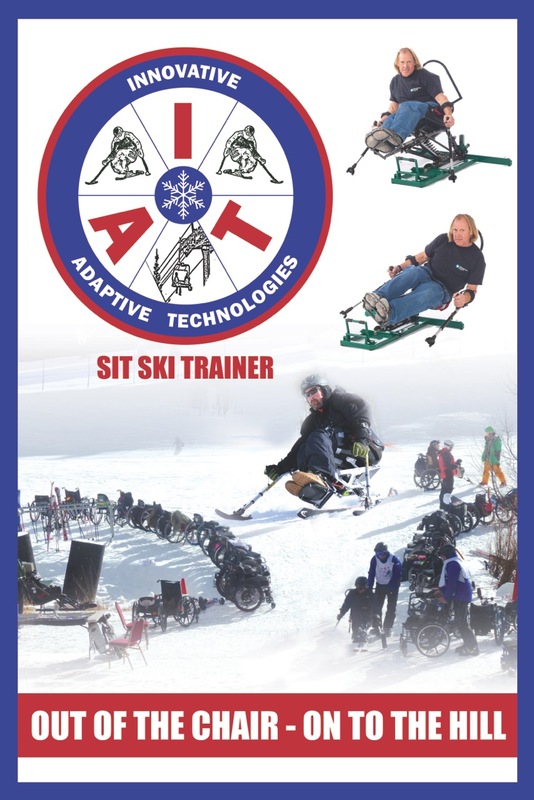 The over all consensus was that there are a ton of possibilities and uses that can be derived from the sit ski trainer and is only limited by the creativity of the instructors who implement its many uses.I know you will be seeing it incorporated into many adaptive recreational facilities and rehabilitation hospitals in the future. Look for it! Greetings, my name is Eric Berkey, and I’m writing to you about a machine that helped change my life. It’s been nearly five years since a spinal cord injury put me in a wheelchair as a C-5 quadriplegic. Prior to my injury I had been an avid skier, both competitively and professionally. Unable to bear the thought of giving up a lifelong passion, I resolved to get back on skis any way I could. Anxious that my impaired mobility might severely limit my ability to sit-ski, I was grateful to meet Wes Dearborn, adaptive ski coach extraordinaire and inventor of the Innovative Adaptive Technologies sit-ski simulator. My trepidation was instantly displaced by elation when we strapped me into that bucket seat and I realized that sit-skiing was indeed a possibility. The pre-season opportunity to learn the balance and body mechanics of sit-skiing was not only an invaluable dry-land training tool and confidence builder, it also helped me to find my ‘stoke’ – once again, winter is a season to be looked forward to with giddy anticipation! Looking back to the difficult and often dark time of recovery and acute rehabilitation, I’m convinced that the early exposure of disability survivors to adaptive recreational opportunities is critical to patients’ mental health. Even at that early stage in my new life as a quad, the sit-skiing simulator would have been the perfect tool to show me what possibilities exist for improving the quality of life for disabled athletes. This technology belongs in every rehab gym out there! Click here to send us your testimonial or comment.